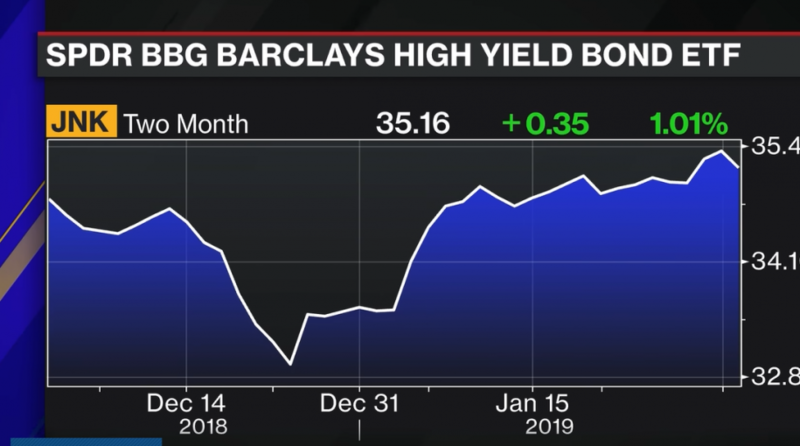 After the volatility-laden tumult seen towards the end of 2018, investors are starting to dip back into the high yield waters thanks to life in U.S. equities. Exchange-traded fund (ETF) flows are showing that a risk-on sentiment is slowly creeping back into the markets, making the case for high-yield bond funds again. A volatile end to 2018 no doubt elicited a risk-off sentiment that permeated throughout the capital markets, but that could be changing as the stock market continues to rally. The aggregate one-month fund flows into high-yield bond funds are $4.58 billion as of the time of this writing. In the current economic landscape, short-term bond funds are still receiving the majority of flows, but it’s hard to deny that a shift to high yield is becoming more apparent.